My wife went to the Caribbean. My friend asked "Jamaica?" I said, "No she went of her own accord". Careerplayer.com Launches New Mini-Documentary, Women In Engineering. The future of WAMT : They want your views! New Code Of Considerate Practice From The Considerate Constructors Scheme. ConstructionSkills Equality And Diversity Survey. Deadline 2nd May 2012. Vinci Construction UK Enhance Female Presence In The Construction Industry. Skanska embarks on drive to attract more women. Women in Construction, Engineering and Technology Networking Evening. 10th May 2012. 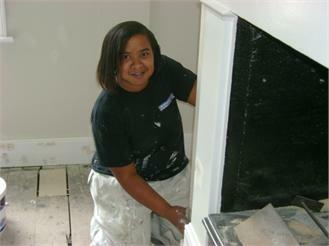 Wirral Partnership Homes Are Offering Apprenticeships For Men & Women. Worshipful Company of Paviors Learning Fund 2012-13. Sandi Rhys Jones' Blog - Constructive Women. CAN YOU MAKE, MEND AND BUILD? Which leads us to the subject of marriage, I will be missing most of May and early June as I’m off to marry the gorgeous PQS Steven Teare of GVA. We hope you will support the union of a PQS and Ex site manager as a positive for industry – we really do go that extra mile for the built environment. Since I won’t be around we thought we would offer one of our loyal readers the chance to write the introduction to next month’s newsletter, if you are interested please email Matt letting him know who you are and what you would like to say in 300 words or less to our 7,000 subscribers relating to industry and diversity. Also please do respond to the Construction Skills Survey before the 2nd May (apologise for last month’s bad link) into fairness inclusion and respect in the Built Environment all of your views really are important, if the newsletter generates more than 50 responses to the survey we will post a wedding photo as a thank you! The Times Top 50 Employers For Women Report is out and its brilliant to see no less than three Built Environment companies Arup, Atkins and MITIE represented. It also contains some very interesting articles about the progression that has been made in gender balance as well as articles about women in business generally. Follow this link to the report. Top 50 Employers For Women. As we reported last month the new industry-wide forum has been set up to improve the employment of women, minorities and the disabled within the construction industry. The new Construction Industry Leadership Forum for Fairness, Inclusion and Respect (FIR), has been established on the recommendation of the Equality and Human Rights Commission following two studies on diversity in construction and has been charged with changing practice in the industry. Chaired by Judy Lowe, Deputy Chairman of CITB-ConstructionSkills, the forum is made up of a wide array of participants from across industry to ensure that it is representative and facilitates the needs of all sector stakeholders. Participants include UK Contractors Group, the Construction Industry Council, the Chartered Institute of Building, the National Federation of Builders, Constructing Excellence, Constructing Equality, SMEs and SummitSkills. An immediate priority, as identified by the forum at its inaugural meeting, is to provide clear and consistent information on Fairness, Inclusion and Respect for the industry so that everyone can access guidance, advice and helpful examples of good practice. The industry’s need to improve its retention of skilled female employees and those from ethnic minority groups is also a top priority. Christine Murray on Women in Architecture... Christine Murray explains why the AJ has created an awards scheme to celebrate the achievements of female architects. Victoria Thornton on Women in Architecture. Victoria Thornton, director of Open-City, explains why architecture needs to promote successful women. Richard Rogers on Women in Architecture. Richard Rogers on the glass ceiling, why he gives 12 months maternity leave at full pay and judging the WIA award. 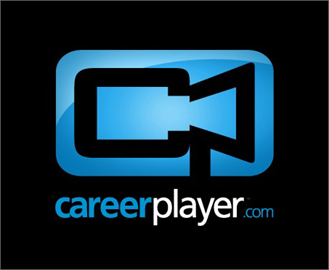 Careerplayer.com wants to change the perception of what a career in the modern world of engineering is really like, which is why this have produced this documentary for anyone to use FREE of charge. They feel too many of the UK’s most talented women studying STEM subjects head for other areas once they graduate, lured towards the glam image of finance and consultancy and put off by the staid, male-dominated image of engineering. Women in Engineering, which launches from today, is a mini-documentary aimed at changing these perceptions for the better. The new Interim Chief Executive of WAMT, Andrea Kelmanson, is currently conducting a full review of Women and Manual Trades – and she wants to hear YOUR opinions on the organisation. To gather these, they will be hosting a special Tradeswomen’s Networking Event on Monday 28th May, where members will be able to chat to them about options for WAMT’s future work, over wine and nibbles. After the meeting there will also be computers available to use, for anyone wanting to place a free ad in their ‘Find A Tradeswoman’ directory. The event runs from 6.00 – 8.00pm, at their premises in Featherstone Street. If you would like to come, please RSVP to Louise. The Considerate Constructors Scheme has announced that it will be launching a new Code of Considerate Practice in January 2013 as well as new Checklists, new report formats and a new scoring system for both Site and Company Registration. “This is clearly a major piece of work for the Scheme but is one we are keen to undertake. It is vital that the Code reflects our aims and objectives for the Scheme and the industry that support us. The supporting Checklist must also remain a motivating tool for those sites that register with the Scheme and encourage and reward original thinking and innovative behaviour in implementing new and exciting solutions to the large number of challenges faced by the modern construction industry. As the Industry Training Board and a partner in the Sector Skills Council for Construction, CITB-ConstructionSkills is committed to addressing fairness, inclusion and respect across the construction sector. As part of this work, they are considering a range of Fairness, Inclusion and Respect Products and Services to support the sector to meet the requirements set out in the Equality Act 2010 and help them to benefit from the business benefits that a diverse workforce brings. Act fast and have your say before the end of 02/05/2012. Vinci Construction UK has teamed up with The Association of Women in Property (WIP) to show their support for women in the construction and property industry. VINCI Construction UK will co-host and guest speak at the WIP event, which is to be held on Thursday 19 April 2012 at VINCI Construction UK’s current project, King Edward VII School, Sheffield. The VINCI Construction UK project management team will deliver a presentation at the event to explain the management of complex development schemes, such as the King Edward VII School. Women In Property is a national networking association for professional women in the construction and property industry. The organisation provides a wealth of support for women to exchange views and business opportunities. It also gives members the opportunity to view the backgrounds of successful women in an industry which is predominantly male. Construction firm Skanska has set out on a drive to attract and retain more female members of staff as part of its ongoing diversity scheme. Speaking at the European HR Directors' Summit in Birmingham yesterday, the firm's executive vice president of HR, Harvey Francis, said: "In terms of recruiting ethnic minorities we don't have an issue, but our industry is seen as very gender-specific. "We are going out into schools and universities to show women the construction industry has changed." The Women in Construction, Engineering and Technology Network hold biannual networking evenings where ladies from industry and academia can get togther and share ideas, information, knowledge and discuss other topical issues in a relaxed and informal setting. This event will be held in Bolton on 10th May 2012 at 6pm. A guest speaker will attend and food is also provided. These events also provide a good opportunity for students to get in contact with industry professionals. Book your place here. Thanks to the UKRC for this information. WPH are offering a rare opportunity to learn a new trade during the next 3 to 4 years. In return they are looking for interested women and men who are enthusiastic, committed and keen to learn. The appointments are due to begin in Sept 2012. Applicants are welcome from all age groups but you must be a minimum of 16 years of age by 31st August 2012. The following trade apprenticeships are available: Joinery, Plastering, Electrical Installation & Painting and Decorating. Many thanks to WAMT (Women And Manual Trades) for this information. We are pleased to announce that the Stephen Lawrence Charitable Trust is working with the Worshipful Company of Paviors to provide £1000 towards the cost of University, together with mentoring and other career development opportunities. The grant is targeted at students from black and ethnic minority backgrounds aged 18-24 who will be studying full time at a recognised higher education institution for a degree in the field of Construction from September 2012. Sandi Rhys Jones has more than thirty years experience in strategic marketing and management, communications and training for technical, professional and business to business organisations. Since co-founding RhysJones Consultants in 1976, she has worked for a wide range of clients, including consultants, contractors, suppliers, representative organisations, local and national government. As well as running her business she is a trustee of various organisations including EngineeringUK, the UKRC for Women in Science, Engineering and Technology and the Royal Marines Museum. Have a look at this blog from Chloe Agg (nee Richards), a Building Services Engineer for the Process Engineering company WSP CEL. She says "I design air conditioning & piped services like steam, hot & cold water and compressed air for the pharmaceutical factories where medication such as flu vaccinations that help keep vulnerable young and elderly people alive through winter is made. It’s my job to make sure the environment is clean enough for the vaccine to be made safely, and that the vaccine is sufficiently contained not to give everyone outside the flu!" I’m doing everything I can to promote women in engineering in order to inspire more young people to choose a career in engineering…from school visits to twitter, and blogging to radio interviews. Get in touch if you’d like to know more. Are you happy to take on the DIY challenges others hire experts for? Would you rather fix it than throw it? Can you fix joints or make amazing new furniture, mend kids' toys or even bring that old TV back to life? A new TV series is on the hunt for Britain's most talented amateur DIY enthusiasts and crafts people to show off their skills in making, mending and building- if you love solving practical problems they would love to hear from you! Many thanks to WICNET for bringing this to our attention.